Welcome to Pirate Week here at Create in the Chaos! 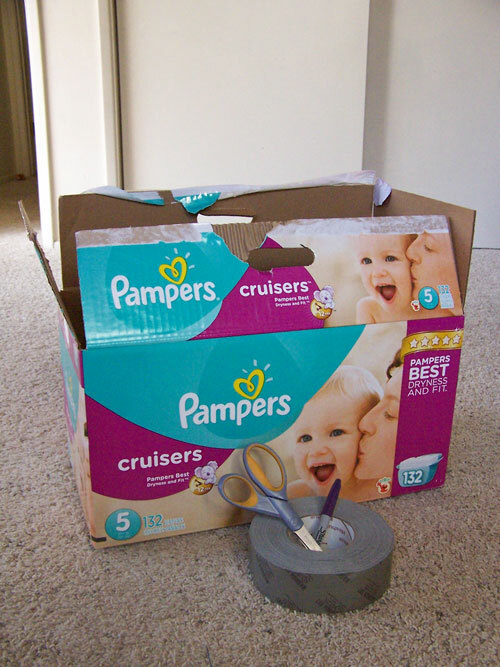 I have a whole slew of fun, piratey projects for the week. Make sure you don’t miss any! 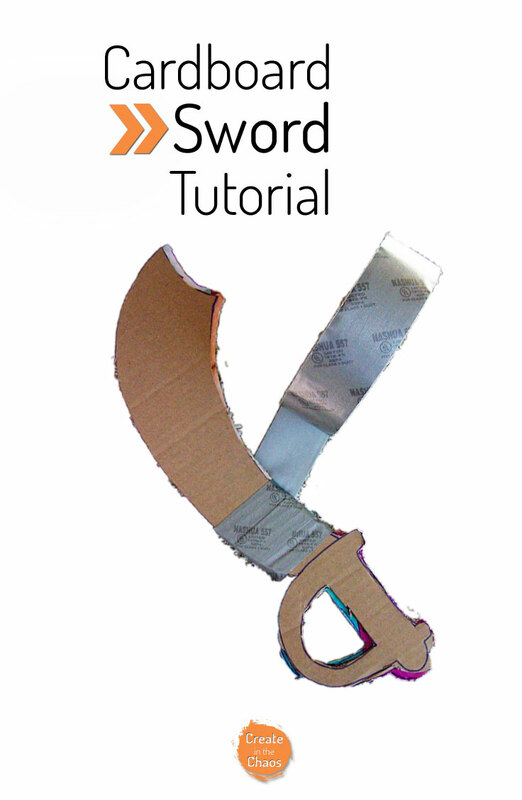 We’re going to start this week off with a tutorial for a cardboard pirate sword. 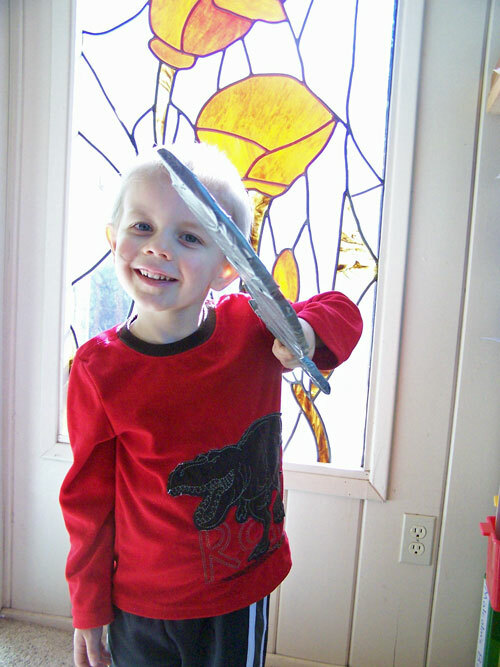 Because what’s a swashbuckling pirate to do if he doesn’t have a sword? 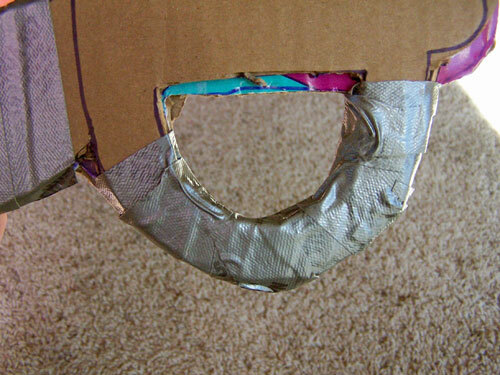 Cut off one side of your box and lay it flat. 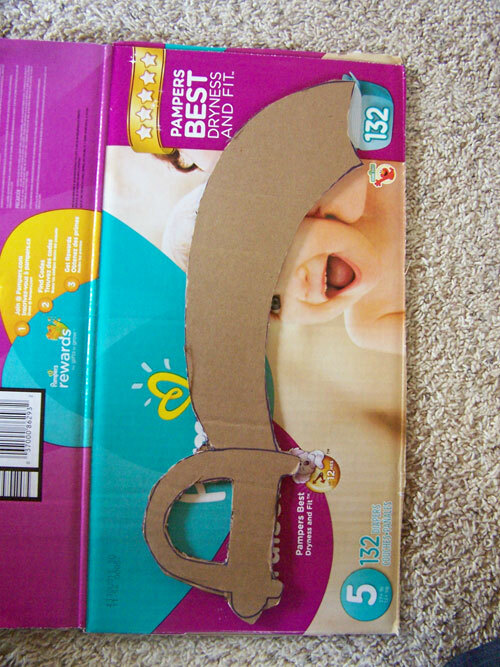 Using a permanent marker, draw the outline for your sword. 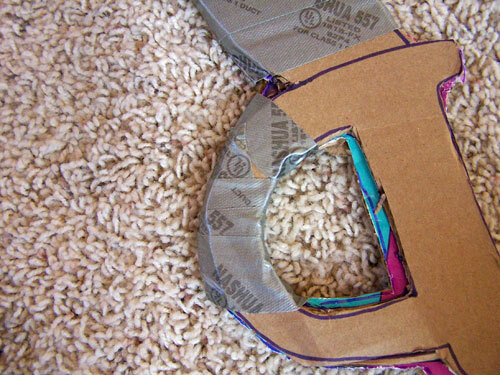 Use a boxcutter or scissors to cut it out. 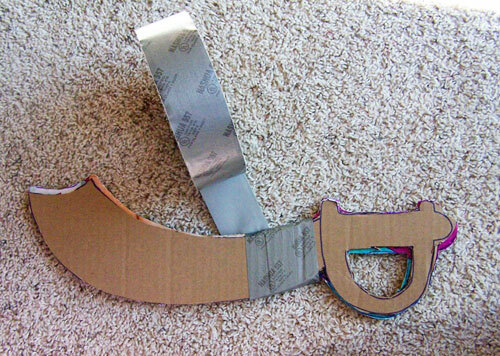 If you’re using a boxcutter, make sure to have an extra layer of cardboard underneath where you are cutting. 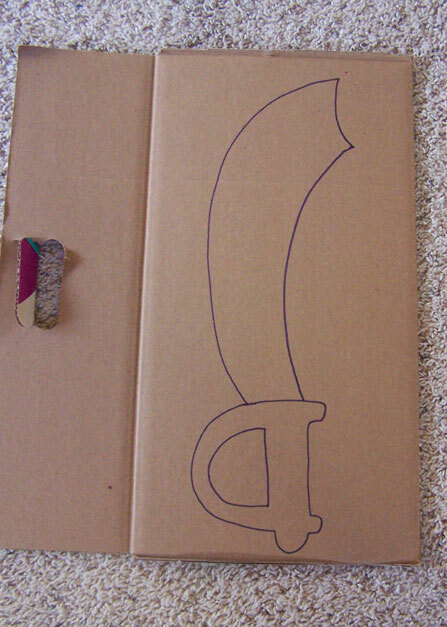 Take the sword and trace it onto another part of your box. 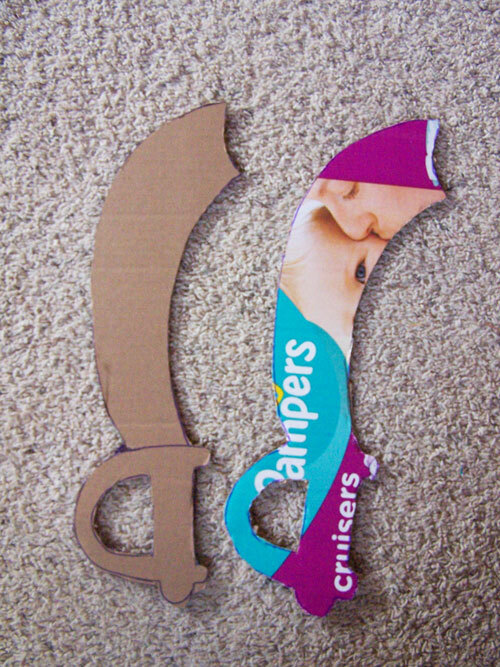 Cut the other part of your sword out. 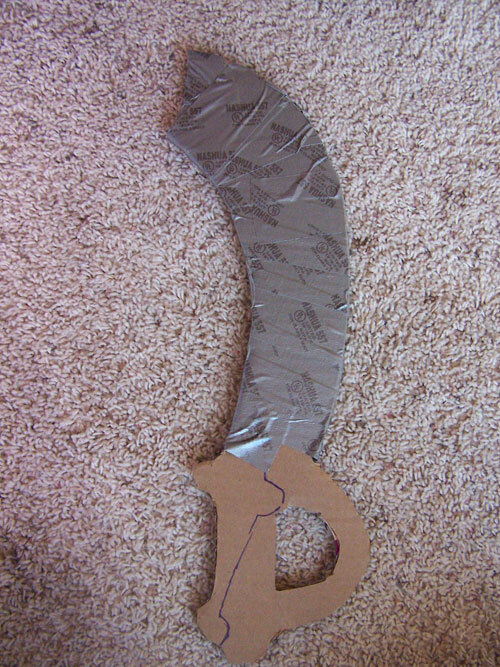 I used a little bit of glue from my hot glue gun to glue the two sides of the sword together so it would be easier to tape it up. 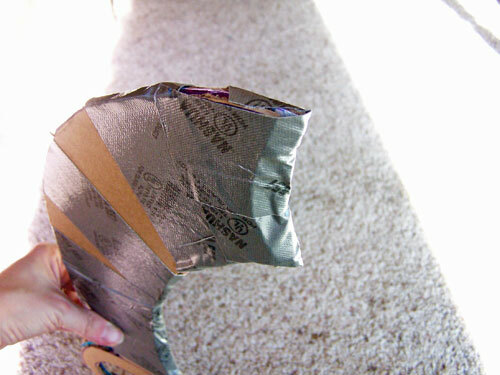 Wrap duct tape around your blade to hold the two together. I started with the base of the blade and worked my way up. I taped over the top of the blade before adding the last wraps on. Once your blade is taped up, move on to the hilt. 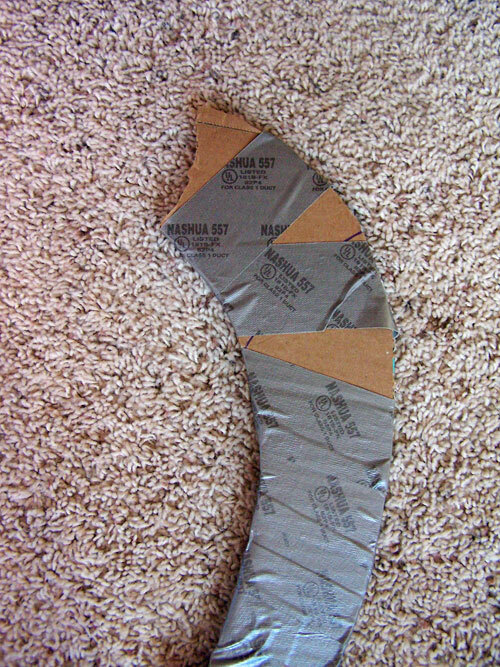 This part is a little more tricky.. Cut some strips of duct tape in half and work your way around the handguard. Finish off by using small pieces to wrap the rest of the hilt. 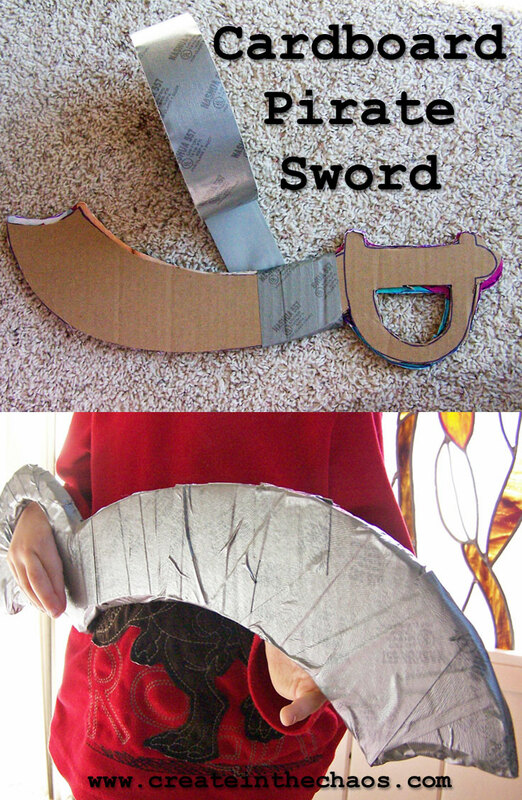 You now have an awesome pirate sword perfect for swashbucklin’! Come back tomorrow for some pirate training!